Sentence Smart is an easy, exciting grammar based reading comprehension system. 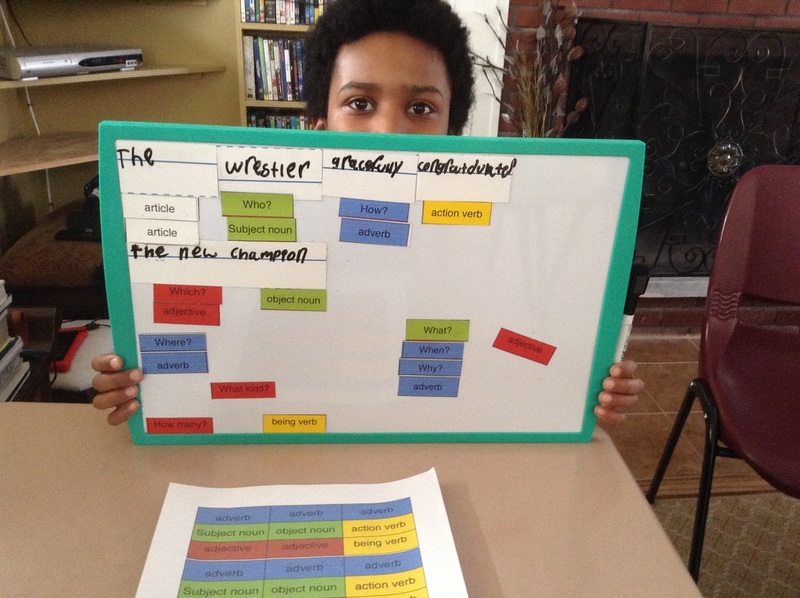 It enables students to physically disassemble and analyze sentences by interviewing their integral parts with questions that reveal the connections writers use to express the logic and meaning of their ideas. The heart of sentence smart is magnetic grammar. 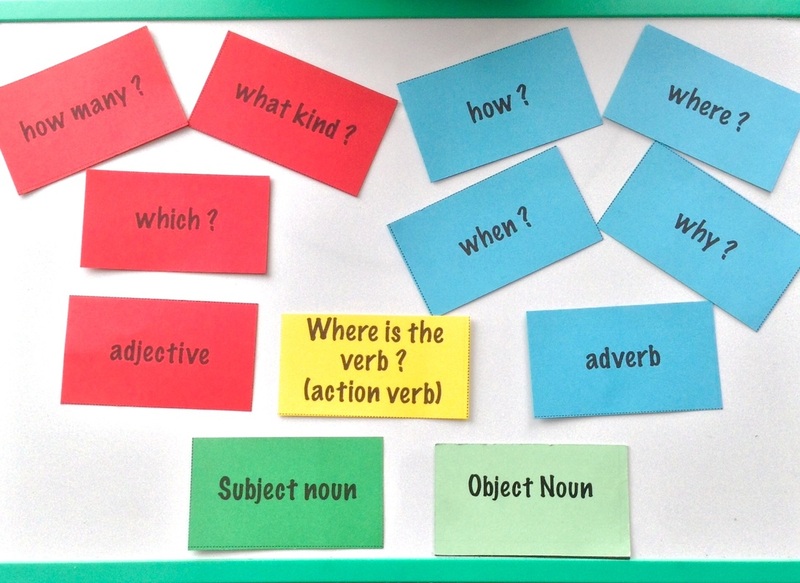 Magnetic grammar consists of a dry erase magnetic board, reusable sentence strips, and color-coded magnetized labels and questions for each part of speech. 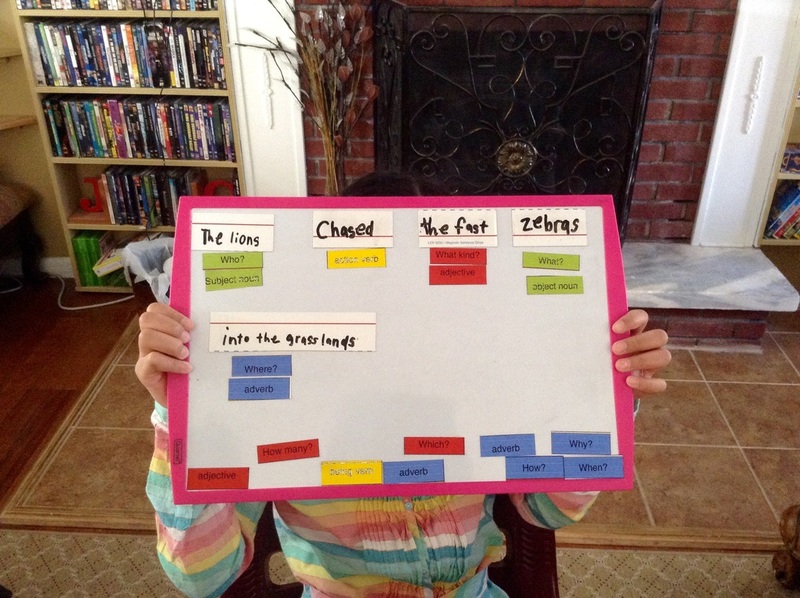 Students use the magnetic board to physically disassemble, question, and label each word or group of words according to its function within the sentence. All of this is supplemented by the Sentence Smart Grammar Book. Click here for more information about the Sentence Smart Grammar Book.